We got an email from PayPal the other day saying we’d earned a $10.00 credit that could be used on any Ebay purchase, and so we delved into the collection to uncover some items that were missing. 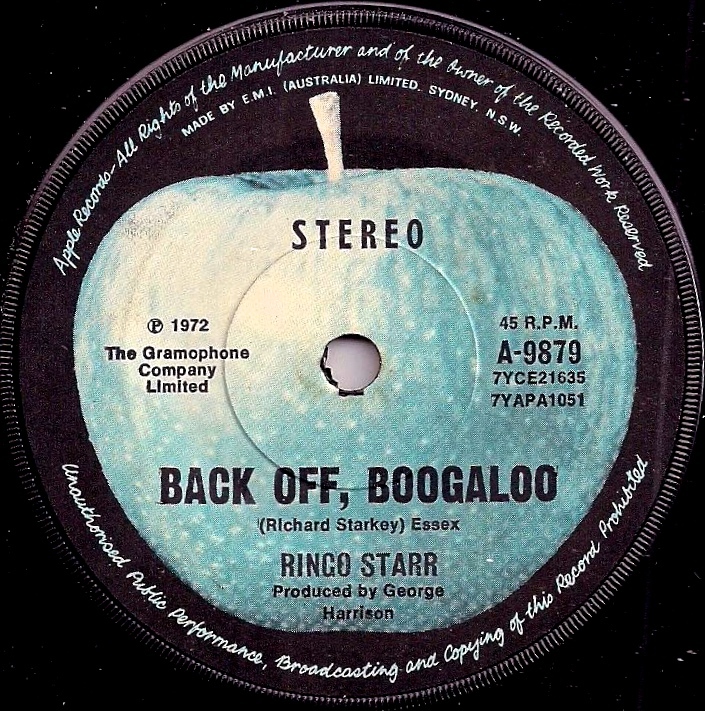 These 7″ 45 rpm singles are all Australian Apple Records releases. 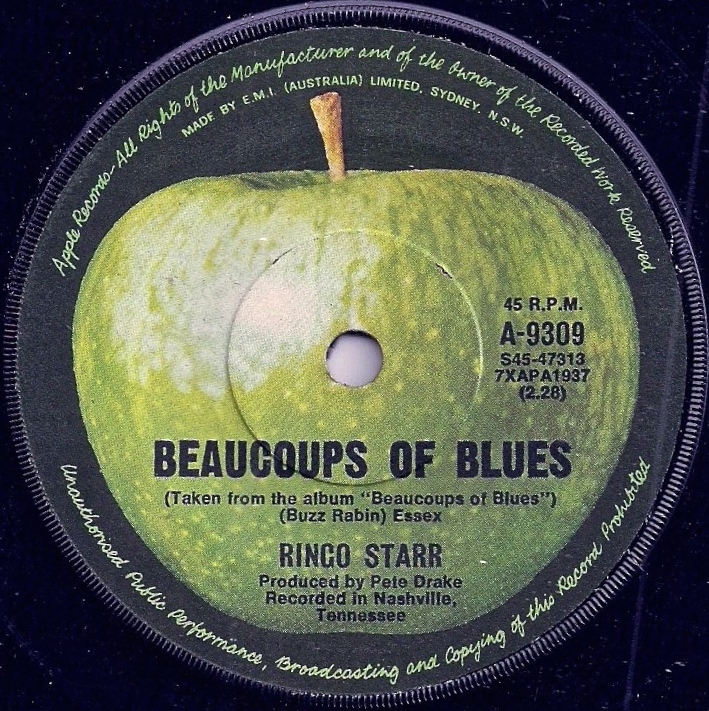 “Beaucoups of Blues” is taken from the 1970 album of the same name. “It Don’t Come Easy” is a 1971 non-album single produced by George Harrison, and “Back Off Boogalooo” (also produced by Harrison) came out in March, 1972. 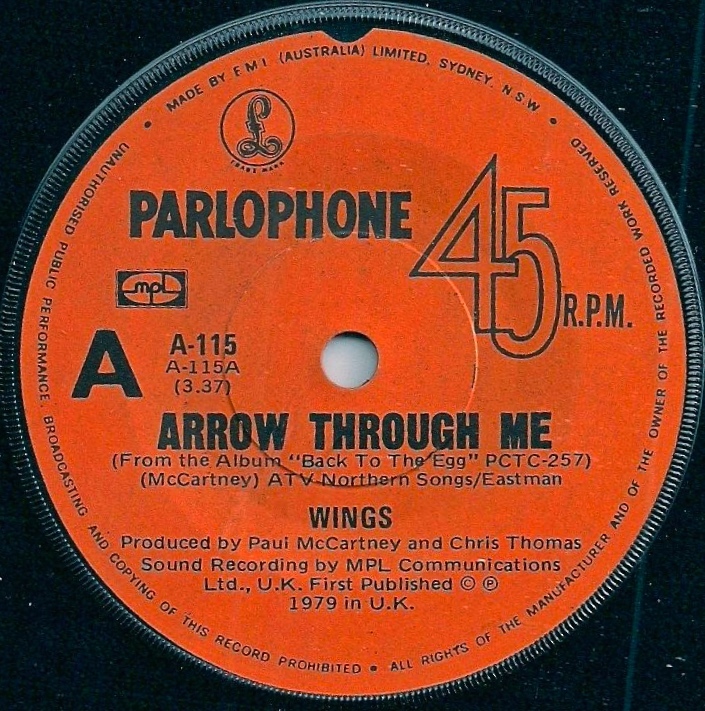 “Arrow Through Me” is b/w “Old Siam, Sir”, and both songs come from the 1979 album Back to the Egg. This entry was posted in Apple Records, Beatles, Beatles Collecting, Beatles Music, Paul McCartney, Ringo Starr and tagged Apple Records, Beatles, Beatles Collecting, Music, Paul McCartney, Ringo Starr by beatlesblogger. Bookmark the permalink.